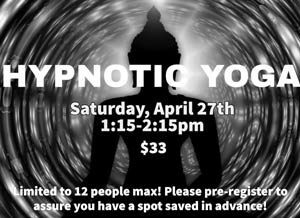 Join us for a workshop using yoga straps to aid, deepen and enhance the practice. Many students shy away from using a strap in their practice. However, a strap is a very beneficial tool that helps even the most flexible students. 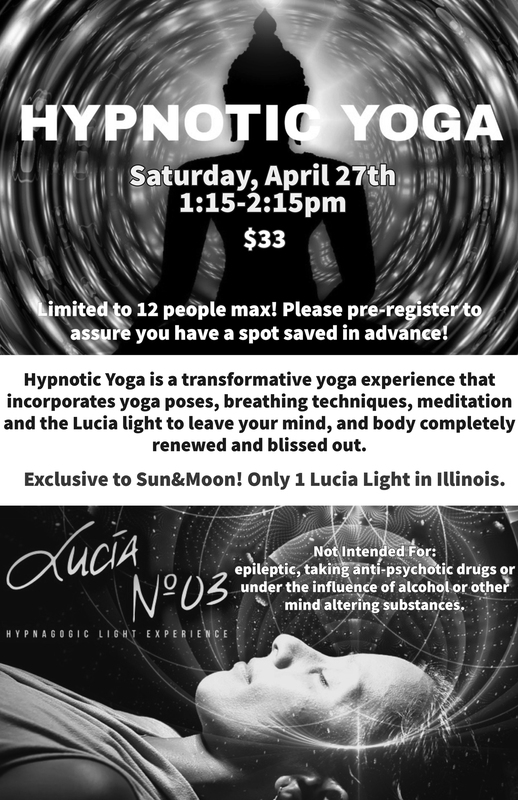 Hypnotic Yoga is a transformative yoga experience that incorporates yoga poses, breathing techniques, meditation, and the Lucia Light to leave your mind, and body completely renewed and blissed out. Limited to 12 people max! Please pre-register to assure you have a spot saved in advance! Not intended for: epileptic, taking anti-psychotic drugs, or under the influence of alcohol, or other mind altering substances. Waiver will be issued.